Additionally, the tournament benefits The Foundation for New Education Initiatives, a Miami-Dade County School Board program created to enhance student achievement and community engagement. The tournament has received celebrity and influencer endorsements from the likes of Alonzo Mourning, Ken Griffey, Jr., Jay Harris, Jason Taylor, Bucky Dent and Mark Duper and many more throughout the years. “Our annual celebrity golf tournament raises significant amounts of dollars that go directly to many desperately needed educational programs in our county through Donorschoose.org and The Foundation for New Education Initiatives,” said Alex Tonarelli, Managing Director, Loews Miami Beach Hotel. Public school teachers spent $1.6 billion of their own money on classroom supplies and gear in the 2012-2013 school year, according to a report released in June 2013 by the National School Supply and Equipment Association (NSSEA), a trade association for educational product companies. “We hope to exceed our contributions this year, which funds as many Miami Dade County educational projects as possible, and relieves the burden from our educators who spend thousands out of pocket on school supplies and instructional materials,” added Tonarelli. In 2010, Loews Hotels celebrated the 20th anniversary of the Good Neighbor program by partnering with DonorsChoose.org in an effort to improve public education. Over the three years, Loews’ team members have raised funds by organizing car washes, bake sales, golf tournaments and making individual donations to support education in their local communities. The culmination of year round fundraising for Loews Miami Beach is the group-based 18-hole, scramble format tournament, held at the Miami Beach Golf Club. Since 2010, the tournament has raised nearly $150,000 in resources for classrooms and students across Miami Dade County. “We are thrilled to participate, for the second year, in the Loews Miami Beach Celebrity Golf Tournament,” said Alberto M. Carvalho, Superintendent of Miami-Dade County Public Schools, and the Chair for The Foundation for New Education Initiatives. “It is through philanthropic donors, like the Loews Miami Beach Hotel that we are able to give back to the local schools in our area and fund innovations beyond the basics that will keep our schools, our graduates, and our community competitive in the decades ahead.” In this year’s golf tournament, celebrity Chef Josh Capon from NYC’s beloved Lure Fishbar, and three time NYC Burger Bash winner, whose celebrity frequented restaurant in SOHO opens in South Beach this fall, will serve a gourmet seafood feast for lunch alongside the resorts’ Executive Chef Frederic Delaire. Each foursome will feature a celebrity player, with special giveaways and a top-notch silent auction with a multitude of sought-after luxury items. “The support we have received from Loews Hotels in helping teachers across the country acquire the materials and resources their students need in the classroom has been tremendous,” said Charles Best, CEO of DonorsChoose.org. Of course, the staff must be expert at overseeing the integration of investment management, advanced planning, private investment banking, business strategy, and related support services. While most high-profile successes appear to have a charmed life, there is usually an intense back-story filled with frustrations and anxieties that cannot be overlooked. Even when they have achieved levels of fame and fortune long sought in our culture, most celebrities find their status has its drawbacks. Were all familiar with the stories about bankruptcy and overspending in show business, says Hannah Shaw Grove, executive editor of Private Wealth magazine and principal of the boutique consultancy HSGrove . Most entertainers and celebrities have a limited window in which they can earn consistently high incomes, so they need a strong team of professionals around them to help protect and leverage their assets into something greater. Athletes dont fare much better. Every move an athlete makes is observed, analyzed, and frequently second-guessed by coaches, managers, teammates, fans, and members of the press. Since a great number of people and organizations, such as sports federations and commercial sponsors, rely on winning athletes to generate revenue, its understandable that most athletes feel the pressure and are afraid of failure. Celebrities seeking a financial advisory relationship are increasingly attracted to the multi-family office model, which integrates select core aspects of a business managers job with a broad array of financial and legal expertise. According to Miguel Forbes , vice chairman of the Forbes Family Trust, Successful entertainers and athletes are turning to multi-family offices, who can help them navigate their financial worlds and are nimble enough to offer business strategy and support services specific to them. Celebrity multi-family offices offer a broad array of expertise, including advanced planning, which is a suite of cutting-edge services that help wealthy individuals and families structure their assets to be as tax-effective and secure as possible. According to Frank Seneco, president of Seneco & Associates , The ability of entertainers, for example, to leverage their loan-out corporations can prove extremely profitable. Advisors in multi-family offices can also offer business strategy and support, handling licensing agreements or business ventures with the celebrities names attached and helping them capitalize on their success to generate significant monies. All too often, less knowledgeable advisors will let celebrities not well versed in these areas dive into business deals with a very limited chance of success. When celebrities call on advisors to develop a business model, it means the advisors must go beyond the role of a traditional multi-family office, business manager, or management consultant, because theyre tackling the clients financial and tax issues all along the way, explains Flynn. The celebrity multi-family office offers two critical advantages to successful entertainers and athletes. 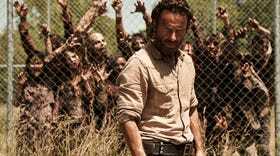 One is an in-depth understanding of the celebrity world. More important, however, is the ability of the multi-family office to address the needs and wants of the successful entertainers and athletes in a holistic manner. While a top-notch multi-family office will provide solutions to specific issues, problems and needs, its services should also be all encompassing and comprehensive. USA TODAY’s cruise review site, VacationCruisesInfo.com, offers a glimpse this week in an in-depth review of the line’s Carnival Victory. At 58 pages, it’s the most Post to Facebook Ship review: Celebrity Cruises’ Celebrity Reflection on USATODAY.com: http://usat.ly/1aEpUwJ Incorrect please try again A link has been posted to your Facebook feed. Sent! A link has been sent to your friend’s email address. 4 To find out more about Facebook commenting please read the Conversation Guidelines and FAQs Ship review: Celebrity Cruises’ Celebrity Reflection Cruise Log Gene Sloan, USA TODAY 1:25 p.m. EDT October 14, 2013 The exterior of the Celebrity Reflection, the fifth and final ship in the Solstice Class line that began in 2008. Michael Wessels The exterior of the Celebrity Reflection, the fifth and final ship in the Solstice Class line. The ship made her North American debut on Dec. 1 with a sailing out of Miami. Michael Wessels The outdoor pool on Deck 14 has a pool bar, two pools, and Jacuzzis. Chairs were added to the deck of the Reflection to accommodate more guests. Nancy Trejos, USA TODAY An extra 245 loungers were added to the expanded pool deck to accommodate more than 1,000 additional guests than the Reflection’s predecessors in the Solstice line have had. Nancy Trejos, USA TODAY The Pool Bar is located on Deck 14. Nancy Trejos, USA TODAY Weather permitting, the Mast Grill on Deck 15 is a casual dining spot where guests can have grilled specialties while overlooking the pool. Nancy Trejos, USA TODAY Guests take a Zumba class by the outdoor pool on Deck 14. Nancy Trejos, USA TODAY The iLounge has 22 computers that guests can use to surf the Internet. The lounge is also a licensed Apple reseller, one of the first at sea. Nancy Trejos, USA TODAY The expanded Aqua Spa offers a wide range of services including massages, 24K gold facials, and a full Medi-Spa where guests can get acupuncture and other treatments. Nancy Trejos, USA TODAY The enhanced AquaSpa by Elemis has a number of specialty areas such as a hammam, infrared sauna, steam rooms, and sensory showers. Nancy Trejos, USA TODAY A treatment room at the AquaSpa where guests can get a variety of types of massages including a bamboo massage. Therapists experiment with lights and scents to help create different moods. Nancy Trejos, USA TODAY The AquaSpa has an expanded 883 square-foot Persian Garden with six more curved, heated tiled beds. Nancy Trejos, USA TODAY The cold room at the AquaSpa is kept at 52 degrees F to tighten pores that were opened and cleansed in the infrared sauna or aromatic steam room. Nancy Trejos, USA TODAY Guests can get manicures, pedicures and haircuts in the salon. Nancy Trejos, USA TODAY A state-of-the art fitness facility features cardio machines, spinning studios, and private workout areas. Classes and bootcamps are also available. Nancy Trejos, USA TODAY The fitness center is equipped with TechnoGym equipment that is available for trial and purchase. Nancy Trejos, USA TODAY The fitness center has been expanded to include four new studios. Personal training sessions are also available. Nancy Trejos, USA TODAY Guests who don’t want to swim outdoors have the option of swimming in the indoor pool. Nancy Trejos, USA TODAY Deck 14 has whimsical seating such as this cushioned hammock by the pool. Nancy Trejos, USA TODAY The Sky Observation Lounge is one of more than a dozen drinking establishments on the Reflection. Nancy Trejos, USA TODAY By day, the Sky Observation Lounge is a place to relax over a cocktail. At night, the dance floor gets packed. Nancy Trejos, USA TODAY The Sky Observation Lounge offers expansive views from Deck 14. Nancy Trejos, USA TODAY Oceanview Cafe on Deck 14 gives guests the options of a buffet meal for breakfast, lunch and dinner. Nancy Trejos, USA TODAY Oceanview Cafe has buffet-style dining in an indoor and outdoor setting for 885 people. Nancy Trejos, USA TODAY Guests have a variety of options at the buffet-style Oceanview Cafe, including complimentary pasta, pizza, soups, sandwiches, sushi, salad, and frozen yogurt. Nancy Trejos, USA TODAY Cafe al Bacio offers pastries and specialty coffees and seats 54. Nancy Trejos Cafe Gelateria offers an assortment of traditional gelatos. Nancy Trejos Live music is played at the low-key Ensemble Lounge on Deck 5. Nancy Trejos The Ensemble Lounge has comfortable seating for pre- or after-dinner drinks. Nancy Trejos Qsine is one of the specialty restaurants and seats 90 people. Nancy Trejos Qsine, a specialty restaurant, has an eclectic menu that includes lobster and escargot fritters and sushi lollipops. Nancy Trejos Qsine, a specialty restaurant, has whimsical items such as chocolate-covered strawberry lollipops. Nancy Trejos Qsine, a specialty restaurant, seats 90 people. Nancy Trejos Tuscan Grille is another specialty restaurant that offers Italian cuisine and steaks and seats 144 people. Nancy Trejos Tuscan Grille is another specialty restaurant that offers Italian cuisine and steaks and seats 144 people. Nancy Trejos Murano, one of five specialty restaurants on the Reflection, offers modern Continental cuisine. Nancy Trejos Murano offers items such as lobster bisque, caviar, lobster and duck breast. Nancy Trejos Murano, a specialty restaurant that seats 76 people, has an extensive wine collection. Nancy Trejos Bistro on Five is Celebrity’s creperie, with tableside service for lunch and dinner. Nancy Trejos Bistro on Five, a creperie, seats 72. Nancy Trejos Bistro on Five, a 72-seat creperie. Nancy Trejos Bistro on Five, a 72-seat creperie. Nancy Trejos Blu is Celebrity’s healthy food eatery designed for guests in AquaClass suites. Elizabeth Ashwell Blu, a specialty restaurant designed for AquaClass guests, seats 152. Elizabeth Ashwell Molecular bar is one of more than a dozen drinking establishments on the ship. It is located on Deck 5. Nancy Trejos Martini Bar & Crush on Deck 4 is a popular pre- and post-dinner bar. Elizabeth Ashwell Martini Bar & Crush on Deck 4 is a popular pre- and post-dinner bar. Elizabeth Ashwell Martini Bar & Crush has an ice bar. Elizabeth Ashwell The Sunset Bar is located in the aft of the ship. Nancy Trejos The Sunset Bar is located in the aft of the ship. Elizabeth Ashwell The Sunset Bar is located in the aft of the ship. Elizabeth Ashwell There are eight private cabana-style alcoves on the Lawn Club on Deck 15 that are available for a daily fee. Elizabeth Ashwell The Lawn Club is a half-acre of manicured, real grass on the top of the ship. WWF has been working with Bobby to promote responsible seafood production, retail, and consumption to help address dwindling fish resources in the Coral Trianglean area in Asia Pacific that contains one of the highest concentrations of reef fish on the planet, many of which are exported to Vietnam. As a publicly-known chef and restaurateur, Im in a unique position to help educate fellow seafood retailers and consumers on how their choices can help transform the fishing industry for the better, said Bobby. As a personal commitment to the cause, Bobby introduced a responsible seafood menu at his restaurant using responsibly-sourced products from seafood companies that comply with best management practices in seafood production, some of which have been certified by the Marine Stewardship Council (MSC) and Aquaculture Stewardship Council (ASC). Dwindling fish stocks Unsustainable fishing practices are causing tremendous stress on the regions marine resources, brought about by increasing seafood demand from around the world. Destructive fishing methods are still rampant in some parts of Asia Pacific and are rapidly destroying critical coral reef ecosystems. Without urgent transformative measures from fishing companies, seafood retailers, and consumers, fish stocks will continue to decline and we may not have enough fish resources left in the near future to secure our food and livelihood, said Ngo Tien Chuong, WWF-Vietnams Aquaculture Coordinator. Improving fisheries WWF has been working closely with the private and public sectors to help improve fishing practices through fisheries and aquaculture improvement projects that help fisheries adopt better management practices, and assisting them to eventually attain MSC and ASC certification. 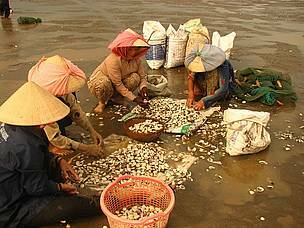 In Vietnam, for example, WWF helped the clam fishery in Ben Tre to be the first in Southeast Asia to get MSC certification in 2009, increasing its export price by as much as 50 per cent. In line with the governments goal to attain responsible pangasius production, WWF has also been working with pangasius exporting companies and has helped the industry achieve its first target of having 10 per cent of its total production ASC certified in 2012. An additional 15 per cent is expected by the end of 2013. These two sustainably certified seafood products are on Bobby Chins menu. This is a new model of cooperation and we hope that it will multiply and be applied to other industries in Vietnam. The success of this model will help Vietnamese industries, especially fisheries and aquaculture, to achieve its target toward sustainable development, said Ms. Tran Thu Nga, Chairwoman of Ben Tre Fishery Association. More people need to understand the direct link between the seafood on their plate and the state of our oceans resources, explained Bobby.